Finally got to try out the 303 project. a couple of things to clarify. Using the Greek military ammo from GC, scope a burris 2-10 signature but while I've had it for years, its never been on a gun to try out although it would be a surprise if it was its fault. I'd more suspect the mounts/rings. Okay I think maybe me-third shot close to first then the forth way out again. I must say that no2 and 4 could be around the other way but it doesn't really matter. This is actually the second group. The first was a bit the same but way worse. I just put that down to me and maybe the barrel needing to settle down after an aggressive cleaning. I didn't post that one. There is a 3rd shot there but that was me letting my son have a shot from a 303 for the first time and that was pretty close maybe 25m I've seen from comments about tikkas that this is very indicative of recoil lug and bedding. I thought that was two separate groups not pinging back and forwards. Secondly I was very intrigued by the way the ammo performed. I filled the box up with sand so we could dig the bullets out to show my son. We put a couple of 243's into there but they just blew up and vanished. 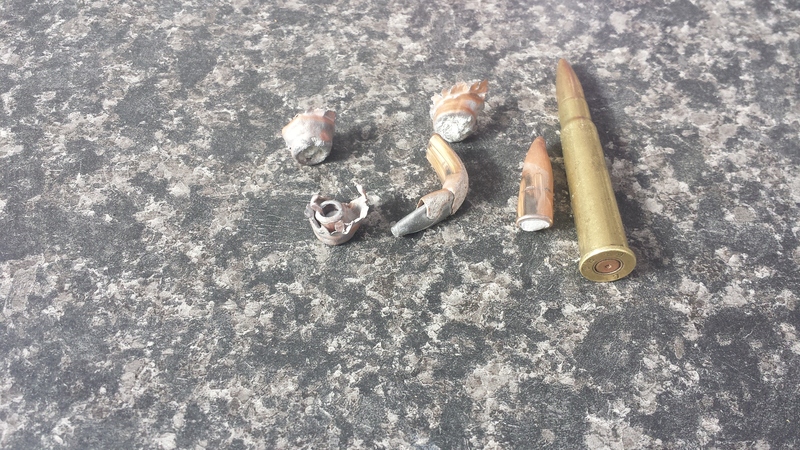 Possibly the fully disintegrated 303 projectiles were from starting at 25 yards, with the others at 50. A couple whizzed across the top of the sand so we didn't get those. Just surprises they blew up so much. The shell for reference didn't go off even after 2 attempts and I swear I had a couple that kicked more than the others and the first group mentioned had one of those. Got any other .303 ammo to try? I didn't read to much into the misfire but as posted when I was finished I did have the feeling a couple kicked more than the others and the very first shot didn't seem to kick much at all really. If I didn't have two almost touching I'd just say the barrel is fecked. it could still well be it certainly isn't mint. @Max Headroom no I haven't although it looks like I should just to rule out the first lot. Strangely enough it seems to get write ups that indicate it should at least show if the rifle shoots ok but with my experience of this lot maybe not. I’ve found the PPU 150 gr groups well in my No 1 MK 111*, and the cases are great to reload. Unless the barrel is munted, I’d expect it to group better than the pics. Did you shoot off a rest ? Barrels certainly isn't flash-that cant be ruled out. Nope not a rest as such-very much rough and ready method. Over the bonnet of the 4wd with padding. 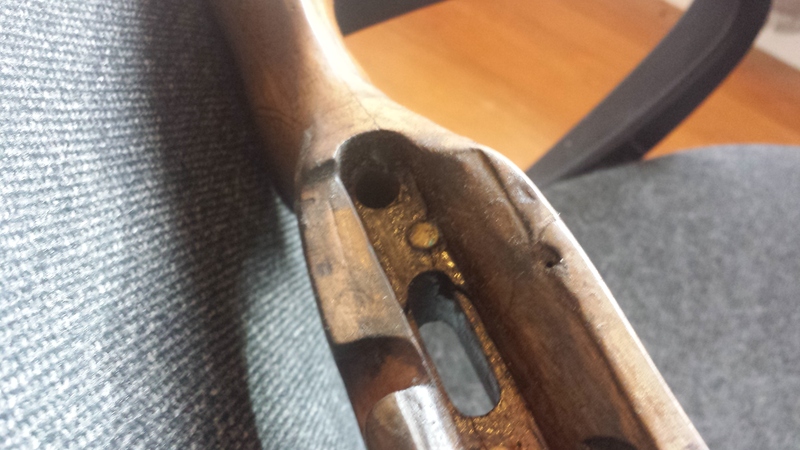 Haven't sighted a centerfires rifle in for years but have done it like this on my other rifles and while I know its not perfect I would expect acceptable results for the distances intended. If you are going to bed the rifle try Nathan Fosters web site terminal ballistic studies. He has a section in there on bedding 303 military rifles. His books are really worth the money and his bedding compound is bloody good. Comes with good instructions and YouTube videos. Step by step you just need to take your time with it. Micky Duck and csmiffy like this. Can you put up some photos of the rifle and stock that might be helpful. The target does look like double grouping but other things might fit the bill as well. try some different ammo. i find mine hates military ammo but likes modern sporting ammo or my relaods. Splash out on some good ammo, the greek stuff is not really good infact some lots are unreliable. For a rudimentery bedding job use some steel knead it in the recoil lug recess. Wax the action then screw it in tight. It goes off in about 5min. 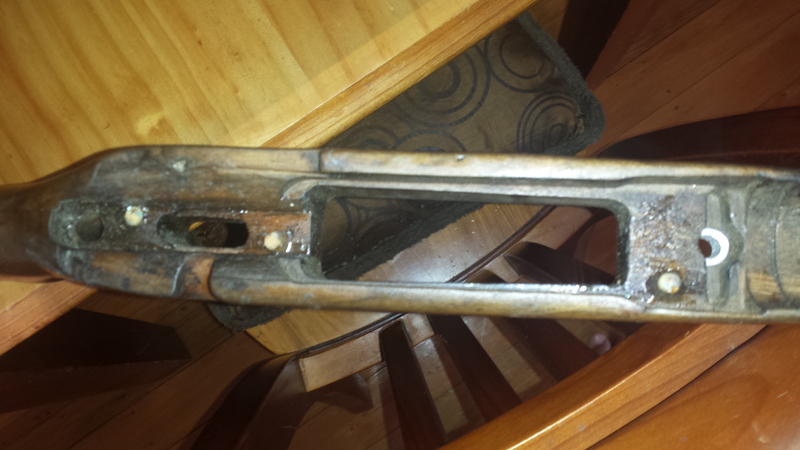 A lot of worn 303 barrels do not like boat tail bullets. I picked up a tidy PH sporter that was shooting 10" groups at 100 yds with 150 gr. 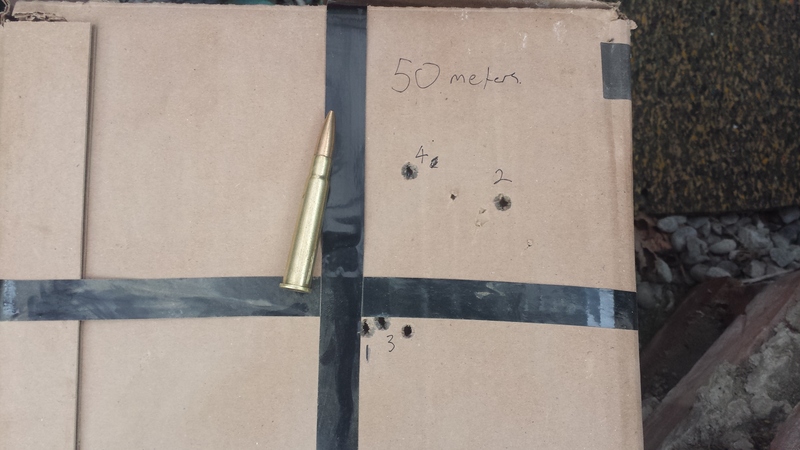 Tried 180 gr Highland (boat tails) 6-8" next, reloads with 180 gr flatbase 4" finally Woodleigh 215 gr flatbase 2.5" groups at 100 yds. @Marty Henry as requested. Fitted new pillars to the action screws and was intending on bedding it but thought if the barrel was poked I'd do that on the new barrel. The rear pillar isn't fitted in the pic. Maybe just do it to rule it out-It certainly wouldn't hurt. @john m is the greek FMJ stuff a boat tail? I've read that about the boat tails on this and other forums. One of the other guys on this forum said the same about his 303-absolutely loves those heavy woodleighs. @Walker well yes I would tend to agree with you and that's a good idea about the recoil lug. Front looks to be bedded and has that pillar but as you say the backs not so doing that could well fix it. at 200 metres, If the barrel looks ok it would pay to have it re-crowned a slight ding in the crown is the cause of many bad groups.